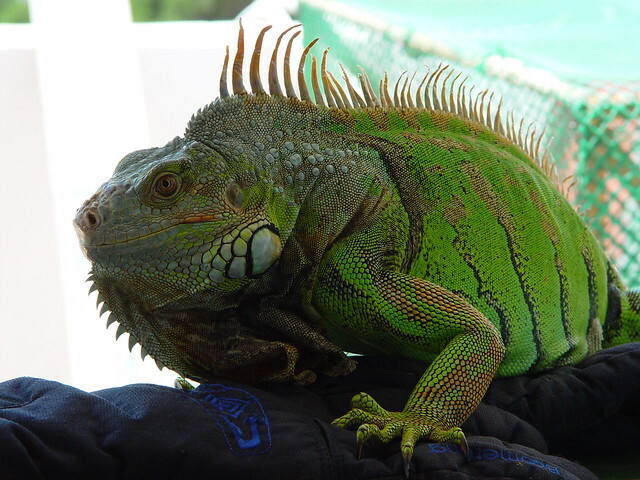 Iguanas are very quickly becoming one of the most popular pets to own. So before you buy an iguana you must know what your iguana can eat and what they can not eat. Read below to find out what do iguanas eat! 1. Acorn Squash- This is a good source of fiber for the iguana. Chop into small pieces so it is easier for the iguana to swallow. This vegetable can be fed to your iguana daily. 2. Apples- This is a great way for the iguana to get some extra water in them. Peel, remove the seeds and chop into small pieces for your pet. Apples should only be fed to your pet iguana on occasion, about once a week. 3. Asparagus- This is a great source of protein for the iguana. Chop into small pieces and feed only occasionally. 4. Bell Peppers- Your pet will love the taste of bell peppers, any color peppers, and they are very healthy for it. These should be chopped fine and can be fed to your pet daily. 5. Berries- A great fruit to feed the iguana, but because of the seeds should only be fed to your pet on occasion. 6. Collard greens- A great vegetable for your pet iguana that is high in calcium. This can be fed to the iguana daily. 7. Green beans- Another great vegetable for the iguana that can be fed to it daily. 8. Mustard greens- Like collard greens, mustard greens are high in calcium and can be fed to your iguana daily. 9. Papaya- A great source of fiber for the iguana. Can be fed to your pet daily. 10. Whole wheat bread- A great treat for your iguana. You should put some water on the bread to get the iguana more water. You should mix up the iguana's diet on a daily basis so that your iguana can get all the vitamins it needs. By changing different foods on different days also gives the iguana something new to taste on. Note that iguanas are strictly herbivores and should never be given meat as well as some other foods. Avoid all dairy products, eggs and dog/cat food. Feed the iguana the 10 above fruits, vegetables and bread, and you should see your iguana live a happy and healthy life. When shopping for fish, it might be tempting to pick the rare and fancy fish full of colors, and exotic looking shrimp or crustaceans. An aquarium full of marine life complete with a coral reef and aquatic plants is very appealing. After all, who wouldn't want to have an underwater paradise in their living room? It may, not, however, be the best choice for a beginning hobbyist. Coral reef aquariums require much more care than freshwater tanks or saltwater fish only tanks. Freshwater fish are usually hardier than marine species and therefore a little more forgiving when it comes to water acclimation. It is recommended that only experienced fish keepers with a real commitment to the hobby attempt a coral reef aquarium. A tank containing coral reef life may require several months of cycling before getting the water just right. The water in a coral reef tank must be regulated for lighting, temperature, and ph. Start with tap water and then add a sea salt mix to the water. This type of solution is available at most pet stores. The salinity of the tank should be between 1.023 and 1.004. The ideal temperature for a marine aquarium is between 75 and 79 degrees Fahrenheit. It is also important to test the P.H. of the tank. Ideal P.H. is somewhere between 8.3 and 8.4. Test kits can be purchased online or at your local pet store. The same store will also carry any solutions necessary to adjust the P. H. There is not much wiggle room when it comes to these specific starting points. In order to avoid a costly mistake, it is important to be patient, watch the tank closely, and make sure that you don't introduce any marine life until the tank is absolutely ready. Once the aquarium is ready, start with anemones and clownfish. They are the hardiest of reef species, and who wouldn't love to have Nemo swimming around in their living room? Monitor the marine life closely. Check the activity levels of the fish, and watch for stress. Stress is the most common cause of sickness in fish. Remember that these creatures may have come directly from the ocean, and it may take a while for them to get acclimated to their new home. Another cause of stress in fish is overcrowding. Make sure there allow about ten gallons of water per one inch of fish. Account for the full-grown size of the fish, not the size of fish when it is purchased. The incubation period for most sickness in fish is about thirty days. So after about a month, if all is well with the tank and the fish seem to be adjusting well, then it is okay to introduce some new marine life. A mandarin fish or a dwarf angelfish might round out the collection nicely, and they are fairly compatible clownfish. Whenever adding new fish, choose the species carefully for compatibility. The fish should be compatible with water specifics, but also make sure that their food source is compatible. Always remember to be patient when adding new fish. Give the existing tank members plenty of time to get adjusted before making additions to an aquarium. The best piece of advice is to do research. Make sure that all new purchases will be suitable tank mates for the existing creatures. With a little luck, and a lot of skill you will be on your way to having a reef aquarium that will impress any fishkeeper. If you've been enchanted by the beauty and engaging personality of betta fish and you think you would like to own one, here are a few basic betta fish facts that may interest you. Some of these tidbits of information might actually be helpful while others are just interesting and simply add to your general knowledge about betta fish. Such basic facts as the origin and natural habitat are essential if you really wish to own and take care of bettas. The Betta splendens, or the Siamese fighting fish, is a native of the slow-moving streams and ponds of Asia. First seen in Cambodia, which was known before as Siam, hence the name Siamese fighting fish, it can also be found in Vietnam, Thailand, and China. Bettas are known to be very aggressive towards other bettas and will fight until their opponent backs down or gets seriously injured just to defend their territory. This behavior has been exploited for entertainment purposes, but these days the aggressive traits of betta fish are often breaded out by the breeders. Without a doubt, the beautiful colors and flowing fins make the betta a very attractive pet fish. Another reason for their appeal is that they tend to respond to their owners much more than other fish. Their eyesight is phenomenal and they will usually approach the water surface when they see you coming. Male bettas have longer fins while females' fins are shorter. Male bettas are also larger and much more colorful. The aggressive nature of the betta is the reason why it is difficult to keep them in a single tank without them exhibiting aggression towards each other. Though they attack other bettas, they are surprisingly tolerant of other types of fish and are oftentimes bullied by other aggressive fish. Maybe it's because they do not treat other types of fish as competitors for females. This trait makes bettas a suitable addition to a community tank, although they will not make good tank mates with just any fish, and they will probably always be happier when alone. If you are planning to build a community tank, you would be well advised to do some research on compatible fish for a betta. Another betta fish fact that you might find interesting is their method of breathing. Instead of breathing underwater like most fish, bettas breathe air instead of water with an organ called the labyrinth. That's why you might notice them going up to the surface and opening their mouth every once in a while. For that reason, it's best to keep bettas in an aquarium that is not too high. Their frequent trips to the surface may require too much energy, which would stress them out and make them weaker and thus more susceptible to disease. That's why, even though some aquarium designs may be very appealing to you, if they are too tall, they will not be the best choice for a betta. A good example would be wall-mounted aquariums. They are very popular with many aquarists because of the ease of maintenance. The Aqua Bella aquariums, for instance, require water changes only once per year. Even though technically appropriate for betta fish, they would not be ideal. Remember betta's natural home - shallow, warm and still waters of rice paddies. In aquarium terms that translates to 10 inches from the substrate to the surface of the water as the ideal height for a betta. If you want to keep a betta as a pet, you must always keep in mind that bettas are originally from a tropical climate. In order to keep them healthy, you must replicate the conditions of their natural environment. Water temperatures of around 75 to 85 degrees Fahrenheit should keep the fish comfortable and reduce the chance of parasites. You should also make sure that your water isn't moving too fast in case you have an active filtration system. Bettas are used to slow-moving waters and strong currents might stress it. Some very popular aquariums have rather strong filters. Be sure to ask about that before your purchase, as not all manufacturers are aware of the needs of bettas in this regard and they sometimes advertise or recommend certain types of filtration for betta fish tanks, even though the current is definitely too strong. If you would like to deepen your understanding of these beautiful species, betta fish facts can be found all around, from books in the library to Wikipedia entries on the Internet. They are not only entertaining but also informative. Certain facts are also essential to you if you aspire to become a betta fish owner since this knowledge could help you improve your ability to care for your pet fish. AQUARIUM FISH HEALTH: WHITE SPOT DISEASE, symptom and cure. Fish death is one of the main problem that beginner aquarist and even few experts. It’s so frustrating to the extent that most quit keeping life aquarium fish. Most fish deaths are caused as a result of parasites both internal and external types that compete with you fish in the tank. 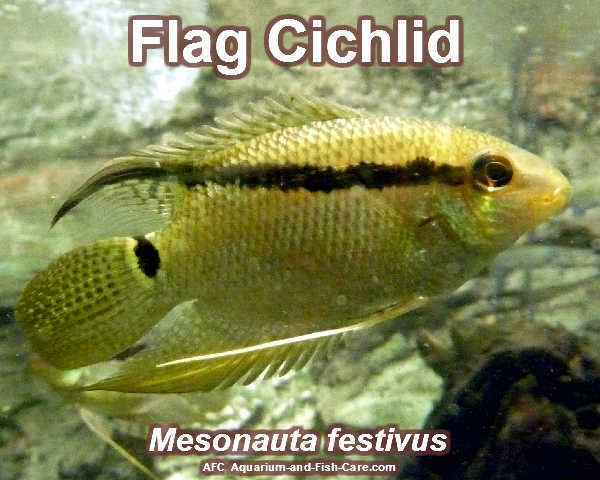 If you watch your aquarium fish often you should be able to discover when they have been infected by this parasite and be able to treat them to avoid fish death. Look out for the following behavioral symptoms in your fish. Constant lying on the bottom or hanging at the surface. Rubbing of the body against rocks. Gasping at the water surface. White Spot: - the most common of the visible signs is the development of the pinhead-size while sports on the body or fins. This ailment is referred to as white Spot caused by the parasite - Ichthyophthirius Multifillis. This parasite has a free-swimming stage, which attaches itself to the fish. The most common chemical used in treating infected fishes is Methylene Blue. You could buy a one percent stock solution from a reputable chemist or aquarium shop and apply at 0.8 to 1.0ml per gallon of water. This amount should be added all at once. Repeat after one or two days. The fishes must remain in this bath until every while spot has disappeared. A water change after treatment is necessary or else prolonged contact with the chemical may affect the fertility of the fish. Aquarists using side filter with activated charcoal should remove this gadget to prevent the coal from absorbing the blue dye. During treatment, you should use artificial aeration with coarse bubbles near the surface, since a dirty bottom would inactivate the medicament by absorption. A better measure is to remove all dirt from the bottom before treatment. Methylene Blue is harmless to young fishes and unlike the general belief, it does not affect plants if used in weaker concentration. Beautiful and bright colored discus fish are very popular among novice as well as expert fish breeders. Both cultivated and local varieties of the fish are in great demand everywhere. They are also very easy to maintain, however like any other pet in your home the right discus food diet plays an important role in the well-being of the fish. Dry food, frozen food and live discus food. These can be further classified as sinking food, slow sinking food and floating fish food. Since discus, fish are mostly mid-water feeders slow sinking fish food for discus is most preferred. Flakes: Flakes come under the category of top floating food but if you pinch them a big before feeding they sink down. Pellets: Small and mostly round shaped, pellets are both sinking and floating. Giving dry pellets to fish can cause them to bloat, therefore, soak them in water for a little while before feeding. Granules: These are smaller forms of pellets are can be fed in the same way you feed the pellets. Wafers and tablets: These are one of the most popular forms of sinking fish food for discus. They have a very well balanced ingredient content. Although they sink rapidly but since they are small enough to be eaten in one bite the fish eat them up quickly. Also, they don't cloud the water. Gels: These are preprocessed slow sinking food for fish. These then being thawed, then mixed with homemade food or other frozen food and then frozen again to feed the fish. They can be used to give your fish a varied diet. Slow sinking discus fish food is preferred because then the fish can reach it easily. If the fish sinks too fast then they will not be able to reach it and it will rot in the bottom and can harm the fish. Discus fish follow a routine and therefore you have to keep in mind to feed them at fixed times every day. Also, since discus fish like to follow a routine, therefore, feed them at regular intervals and give small feedings at a time. They like to eat frequently and hence if you give them to feed only once or twice a day, it will go waste and the fish will starve. Any variation from the routine will make them confused and disrupt their system.